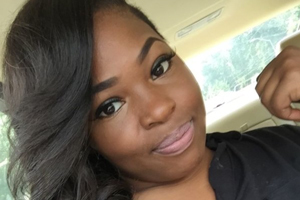 A near four hour hearing stemming from the controversial Waffle House arrest of Chikesia Clemons, 25, by White police officers in Saraland, Ala., ended with the Black woman found guilty of disorderly conduct and resisting arrest. She was sentenced to 10 days in jail, suspended by the presiding judge in lieu of one year “informal probation” and fines of $200 plus court fees for each charge. Judge C. Mark Erwin said July 23 that his decision was based solely on the facts of the case and the law. Ms. Clemons and her attorney Marcus Foxx intend to file an appeal. “It’s certainly a disappointment,” commented Atty. Fox. “But, it is a challenge we are willing to meet, at every level, and we will to the very end,” he told reporters. There is hope the case could be retried in the Mobile County Circuit Court, but with a backlog of cases it could be more than two years before Ms. Clemons receives another day in court. And there is the question of whether the case would remain in the Circuit Court or be remanded back to Saraland, a predominantly White suburb of Mobile, Ala. Prosecutors and defense lawyers produced three witnesses. 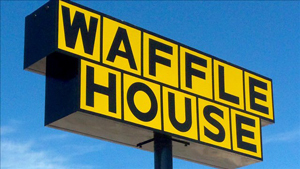 According to published reports, central to Judge Erwin’s decision was testimony from defense and prosecution witnesses that Ms. Clemons verbally threatened a Waffle House employee while police were present. Surveillance footage April 22 capturing the Clemons arrest and presented in court showed a call to police by Waffle House employee Goldie Mincey about two minutes and 32 seconds after Ms. Clemons and her friend arrived and before any outward signs of an argument. Atty. Foxx argued Ms. Mincey didn’t seem fearful as she stands near his client, never saying she’d called police. Witnesses for Ms. Clemons, Mandy Sullivan and Heather Snow, testified to being present during most of the incident and didn’t feel unsafe or bothered by Ms. Clemons or her behavior. In their view, Ms. Mincey equally participated in any yelling, cursing or aggressive behavior. The arrest of Ms. Clemons, who many called a victim of police abuse, generated anger and protest as video captured officers manhandling the young Black woman, whose top came down exposing her breasts. One officer threatens to break her arm as she questions why he is grabbing and arresting her. The video still circulates on social media and is cited as proof how police abuse Blacks. There have also been demonstrations and calls for a boycott of Waffle House restaurants. Mr. Foxx argued Ms. Mincey was the instigator and police made no effort to get all sides of the story, taking no statements from other patrons. Surveillance video showed little reaction from customers and employees to Ms. Clemons’ behavior, proving she didn’t cause “public inconvenience, annoyance or alarm” rising to the level of disorderly conduct, he said.